Born between August and November of 1512. The last of the six wives of Henry VIII, she was the eldest surviving daughter and child of Sir Thomas Parr of Kendal and Maud Green, co-heiress of Sir Thomas Green, Lord of Greens Norton and Joan Fogge. Katherine is usually seen as the Queen who came from nowhere, a nobody. Actually, Katherine was the daughter of a substantial northern knightly family who – like the Boleyn’s – had gone up in the world due to royal favor and advantageous marriages. According to David Starkey, Katherine was most likely better educated than Anne Boleyn and her lineage was better than the Boleyns. The Parr’s had been part of court life since their service to Katherine’s ancestor, Prince John of Gaunt, Duke of Lancaster, the third surviving son of King Edward III of England. John of Gaunt would become father to King Henry IV, grandfather to Henry V, and great-grandfather to Henry VI. Thus, Katherine’s ancestor Lady Joan Beaufort, Countess of Westmorland was a paternal half-sister of Henry IV. During the reign of Edward IV, the Parr’s advanced and Katherine’s grandfather, William, was one of only two courtiers to be given the honor of the Knight of the Garter during his second reign as King. His marriage to a niece of “Warwick, the Kingmaker” [Sir Richard Neville, suo jure 6th Earl of Salisbury and jure uxoris 16th Earl of Warwick], the Hon. Elizabeth FitzHugh, made William an in-law and in Katherine’s case, a cousin, of King Edward IV and his successors. Technically, Katherine was a descendant of all the kings of England that had issue up to Edward III. Afterwards, Katherine was a cousin to the Kings of England from Richard II onwards through her descent from Edward III’s son; Joan of Kent, Princess of Wales [wife to Edward III’s eldest heir and son, Edward, Prince of Wales who was mother of Richard II]; and her Beaufort, Neville, Holland, Woodville, and other connections. 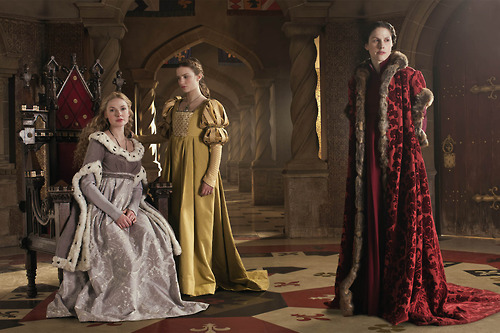 “The White Queen” which aired in 2013 featured Elizabeth Woodville, Lady Anne Neville, and Lady Margaret Beaufort; all of which were cousins to Queen Katherine’s family. Katherine’s father would become a close friend of King Henry and was part of the circle of favored courtiers which also included Sir Thomas Boleyn, father of Henry’s second queen, Anne Boleyn. Sadly, Sir Thomas Parr died in 1517, leaving his wife to care for three small children. Katherine’s mother would serve as lady-in-waiting to Queen Katherine of Aragon [Henry’s first wife] and their relationship would surpass that of servitude as the two would bond over motherhood and miscarriages. 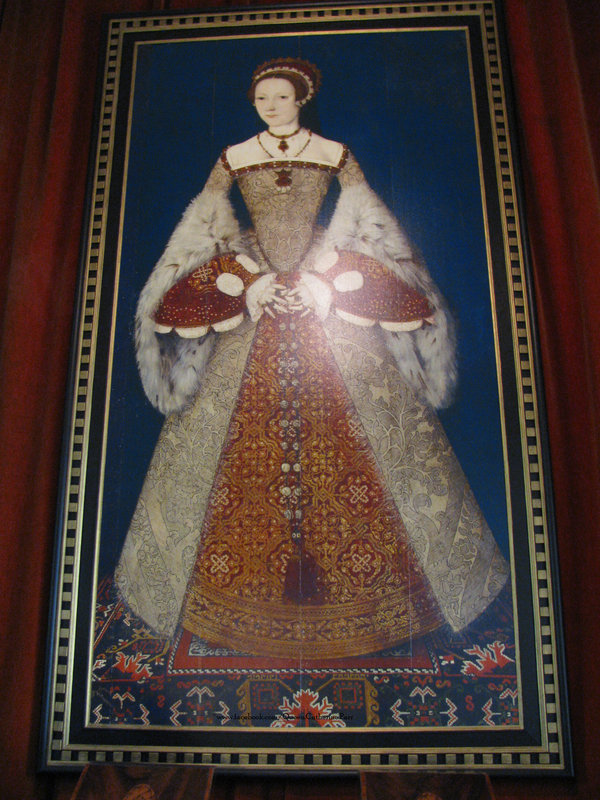 Katherine Parr is said to be named after the queen and the queen was most likely her godmother. After 500 years, Katherine Parr holds the record for the most married queen of England with four marriages. Her first husband is often misidentified as Edward, 2nd Baron Borough of Gainsborough. After the examination of Maud Parr’s will and the recorded death date of the 2nd Baron it is without a doubt that Katherine married his grandson, also named Edward. 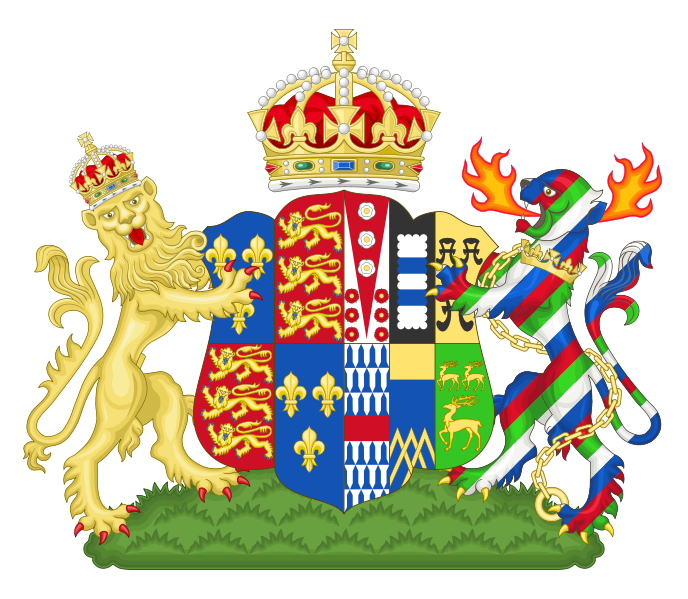 Sir Edward was around Katherine’s age and was heir to the barony of his father, Sir Thomas, 3rd Baron [under a new writ Thomas was known as the 1st Baron as his father was found insane and never called to Parliament; therefore the 2nd Baron held the title, but only by name]. 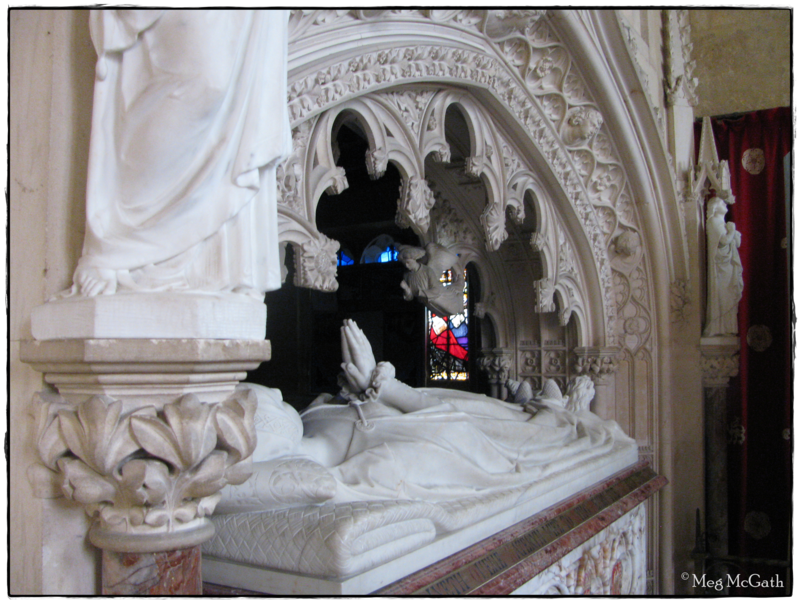 Katherine’s young husband unfortunately died in 1533 leaving Katherine a widow at a young age. For more on Katherine’s marriage to Sir Edward Borough see: Sir Edward Borough. In July of 1543, Katherine was married to her third husband, King Henry VIII. Through out her reign she contributed towards the continuing of the Reformation, was the first woman and queen to publish a book under her name, is often given credit for bringing Henry’s daughters back into the succession and in general was known to have been the wife who brought Henry’s family back together. Katherine got along well with the Lady Mary despite their religious differences. Many people make the mistake in thinking that the queen did not get along with the Catholic Lady Mary. Despite people’s misconceptions, Katherine got along quite well with Mary and the two shared many things in common. With Lady Elizabeth, Katherine’s influence would go further and it would later come to impact her life. Another unusual part of Katherine’s reign, was that she was the only other queen consort besides Katherine of Aragon to act as Regent while Henry was fighting in France. That position wasn’t even given to the woman who fought her way to become queen, Anne Boleyn (Henry’s second wife). Henry entrusted Katherine with the lives of his children and their upbringing, and much more. Katherine escaped the axe and the wrath of King Henry and was widowed and left a rich woman in 1547. Shortly after, with the permission of the King’s will, Katherine was allowed to marry whomever she chose. Under the new king, she was still required to gain the approval of the king and regency council even though Henry had given her permission to remarry. Her choice came upon a former suitor, Sir Thomas Seymour [brother of Queen Jane Seymour, wife number 3, and uncle to King Edward VI]. Her marriage to Seymour was one last chance for Katherine. At the time it was seen as a scandal due to the hastiness of it all, but after the death of Henry, she had no further duty to the crown. She waited the time that Henry had given her after her second husband died [perhaps even a bit more] and then married Seymour. As Dowager Queen she retired to her manor in Chelsea and for a time had the Lady Elizabeth Tudor and Lady Jane Grey in her household. A tryst which Katherine caught before anymore damage could happen was stopped when she found her husband embracing the Lady Elizabeth. This event would tarnish Seymour’s name and caused strain within Katherine’s marriage who after three marriages found that she was finally pregnant. To Katherine’s surprise, her fourth marriage would produce a child that Katherine had always yearned for, a baby girl whom she named Lady Mary Seymour; after Katherine’s step-daughter, Lady Mary Tudor (the future Queen Mary). Sadly, shortly after giving birth, Katherine would become sick and die leaving the baby in the care of her husband who would eventually be tried for treason and executed. Katherine would die leaving behind a legacy that influenced more than people give her credit for. As the Ladies Mary and Elizabeth watched Katherine rule as Regent of the Realm — it is said that in that time, she was a role model for the two future queens; especially for Elizabeth. In the Elizabeth I we would come to know and love, many of the characteristics of Queen Katherine can be found within her and the way she ruled England. Please note that these blogs are thoroughly researched and have taken me, in some cases, months to write. If you are going to quote or use the work, please acknowledge the blog and author [Meg McGath].